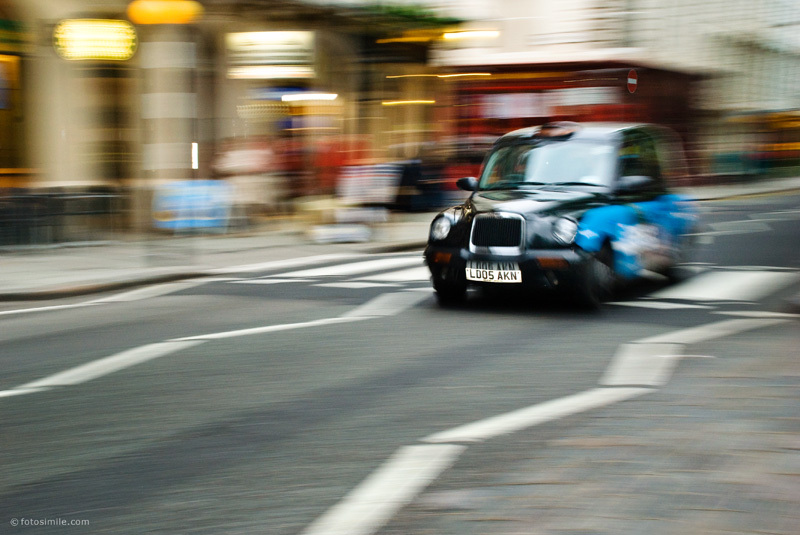 I had mentioned in this previous post that I experimented with blurring while in London. This is one of those photos. While waiting for my friends on the sidewalk in front of the British Museum, I noticed these cabs flying up and down the street and wanted to convey that speed. So I started snapping them, positioning myself just so, spying the oncoming cab down the street and waiting for just the right moment to pan and shoot. Some shots I got, some I missed. This is one of those cab shots that I bagged (as they might say in hunting). Familiar as this is for me, I love the catch you got! So glad you bagged a nearly-black one which is the way our cabs are meant to be ! Love how you captured the motion. Such a wonderful urban image.